Higher Order Component or HOC is a very simple concept with an incredible power. I will start out with some high level overview, and follow that with how to apply HOC to the real life examples. What is Higher Order Component or HOC? HOC is a function that takes React Component as input and outputs a new React Component. Let’s make our HOC complete better by passing down all the props. Equivalently you can also write it as following to have more control over the placement of the children. Ok, so what about ref? Unlike other props, ref is a special prop that doesn’t get passed down. A simple way is to use other prop name other than ref. However, this is a bit inconvenient as you now need to be aware of this new ref name. Luckily facebook has given us a way to extract this ref using React.forwardRef. Note that if Comp is your custom component, you will need to use React.forwardRef again when you create Comp component to properly pass it down to the native component. When should you use HOC? In this blog post, I am going to create a Login page and try to fix problems that arise one by one using HOC. 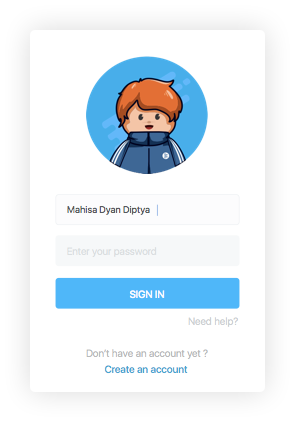 I am not going to waste your time with react-native stuff so here is the complete code for my super simple Login page. Problem 1: There is no indicator that you are currently logging in. When you press SIGN IN button you want a large view that blocks the entire screen with a spinner in the middle. Here, we are injecting 1 Parent View Component. We are also injecting 1 Sibling View Component but only when ‘spinner’ props is true. The Sibling View Component has style that fills up the entire screen with semi-transparent black background and has a ActivityIndicator in the centre. Problem 2: When keyboard appears, you cannot dismiss the keyboard by tapping outside of it. Here, you can see I am injecting one Parent TouchableWithoutFeedback Component. Problem 3: When keyboard appears, it blocks TextInput and SIGN IN button. Also check out Facebook’s official doc here.